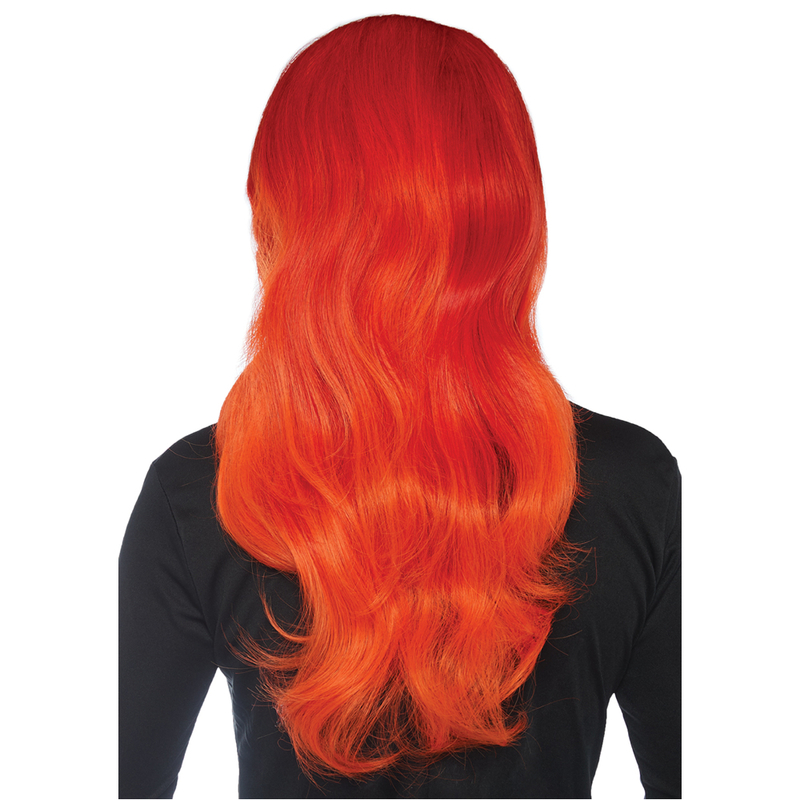 Add fuel to the flames with this Firey Ombre Long Wavy Wig. This wig features hair cut into multiple long layers that descends from a shade of flame red to a lava-like orange, for a subtle yet fire color scheme. The wig features a center part down the middle, and is soft to the touch and looks natural. 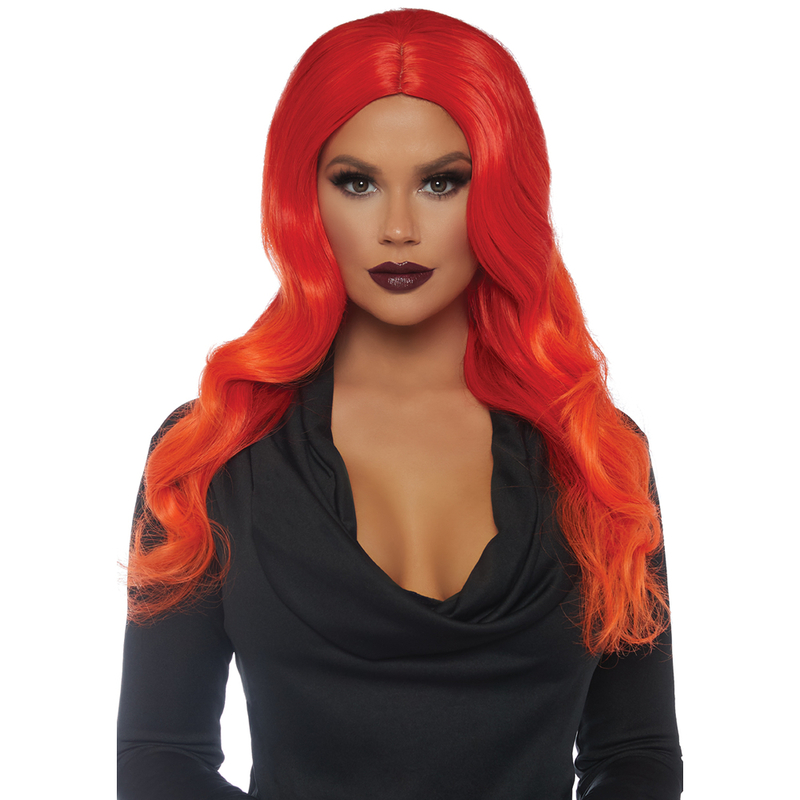 Whether you are getting dressed for a night out or putting together a costume, this wig will have you looking hot like a real flame princess. Diameter Max. 12", Length: 27"